Welcome to Speleo Inn! I didn't take a picture of the surrounding but the entrance was located at the back of a row of shops. Yes... At the back of a row of shops. Where there are chickens and basically at the same row of the other shops' back door. 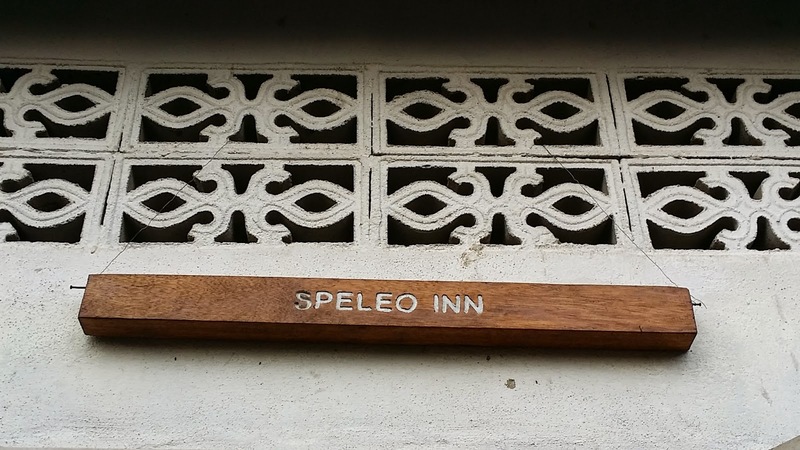 We stayed at Speleo Inn for RM 25 per person per night. It was a two-storey inn. The guys' dorm is downstairs and the ladies' is upstairs. Okay. One more thing. We shared the toilet. There is only ONE toilet. Well, there's another outside but I don't think that counts... Sharing a toilet is one thing, having to wrap up and bundle up to go to the toilet is another thing. Because sometimes you might bump into the guys at the small living room. Felt a bit jealous of the mat salleh's who can just wait for their turn wrapped in a towel. The stairs leading up to the ladies dorm is cool, though. Spiral stairs. Very adverture-sy. Haha! It really has the ADVENTURE, BACKPACKERS style. There were already four girls staying at the dorm. All of them from England; been staying there for a few days already. There are three bunk beds and we were left with no choice except to climb up as all three beds were occupied. Climbing up to the bed was scary! Seriously. 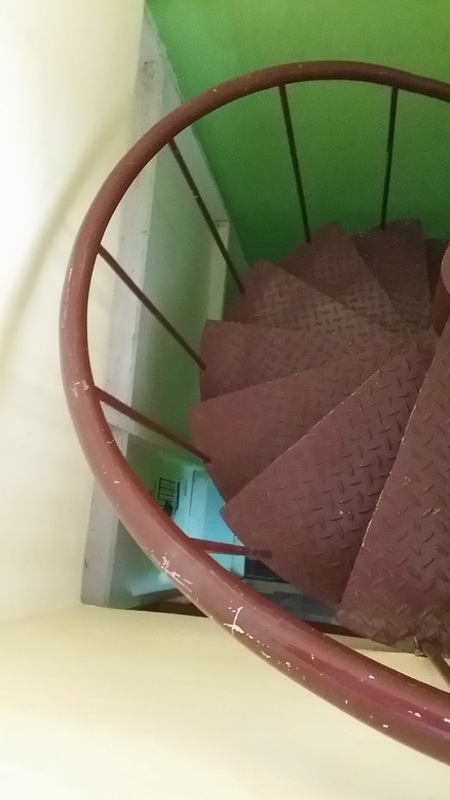 It felt as if it was going to tumble over you as you climbed on the stairs. Creaking sound? All the way up, all the way down... And when the person down you lies down, it creaks even more... Okay. Forget about lying down. Only SITTING on the bed down there and the one above would feel like everything is tumbling over. 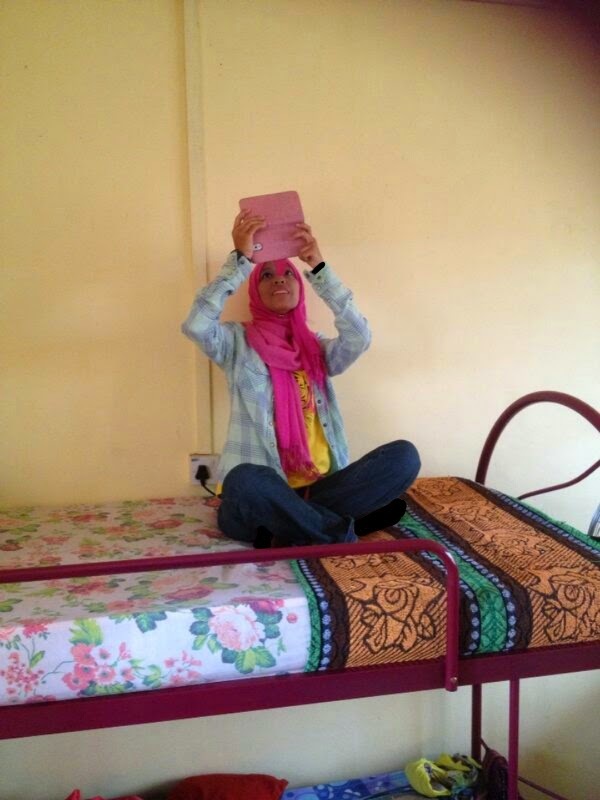 This is me on my bed taking a picture of Tita. Classico bed sheet with a classico blanket.